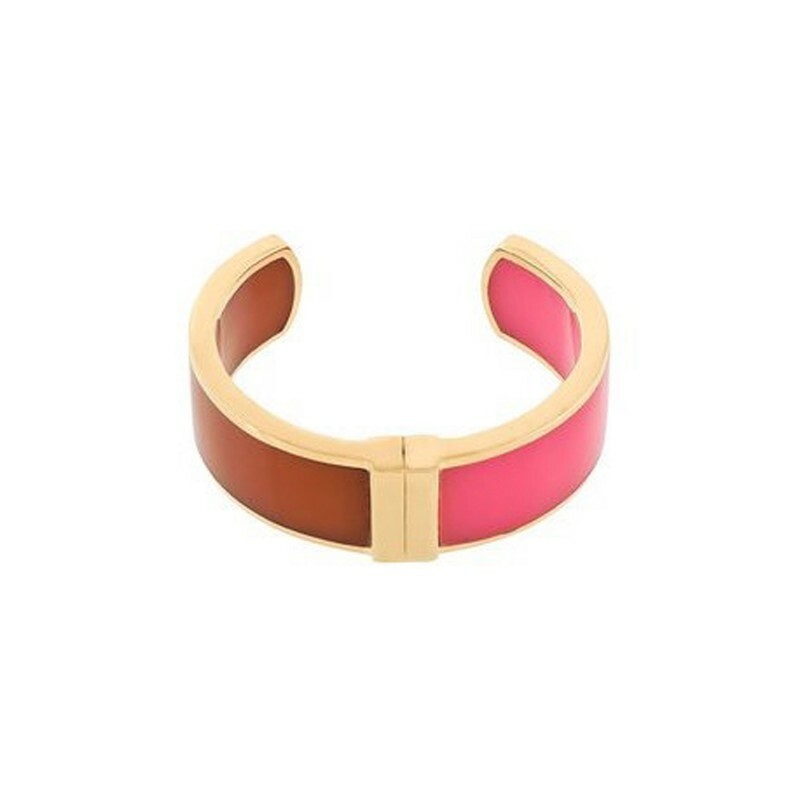 The Andromeda Cuff in Pink & Orange is a bold cuff in 24 Karat Gold Plated Metal, set with a Pink & Orange inlay. Part of the new ‘Limited Edition’ Collection from Bex Rox, these pieces evoke a sense of art deco glamour while maintaining a modern and colourful aura. Bex Rox Jewellery is hand made in the UK using semi precious stones, hand-dyed ribbons and gold plated chains. All of the pieces are vintage inspired, but with an eclectic feel making Bex Rox jewellery unique.